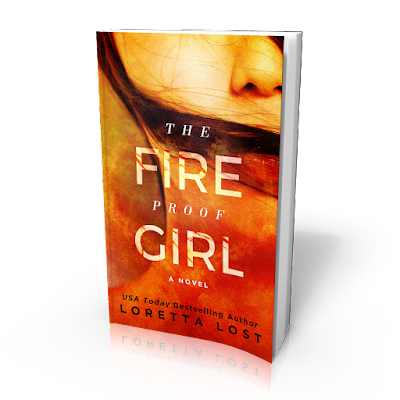 Loretta Lost Books: The Fireproof Girl is now FREE! The Fireproof Girl is now FREE! I am thrilled to announce that The Fireproof Girl is available for FREE on all retailers! A full-length novel of 82K words, it can be enjoyed as a standalone-- especially for fans of crime fiction, romantic suspense, and psychological thrillers. Sophie was alone in the world until Cole Hunter. Both orphaned at a young age, they met in foster care as teenagers. They formed an instant bond, and became inseparable. Years later, when Cole is brutally taken from Sophie, she will tear down heaven and earth to find justice. Even it means risking her own life. Don't miss this emotional roller coaster ride!